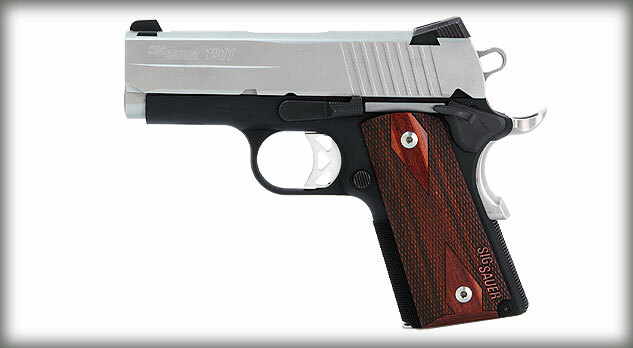 The Sig Sauer 1911 Ultra Two-Tone is a medium frame handgun designed for self-defense, recreational, along with conceal and carry purposes. 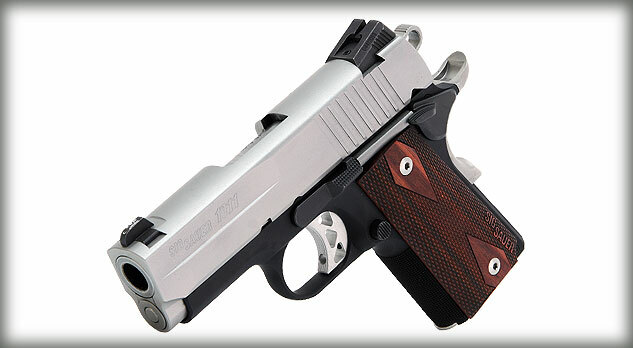 The model series was originally the Granite Series Rail (GSR), and later changed to Revolution after non-rail handguns were introduced. 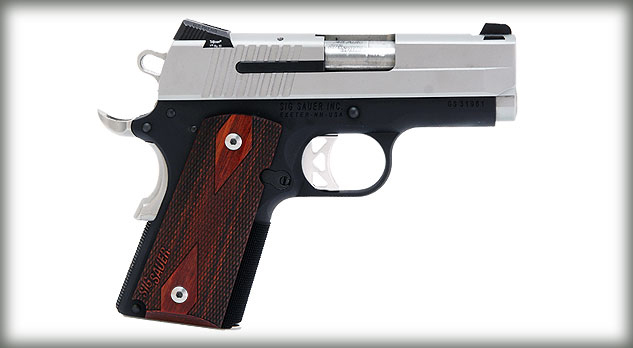 That eventually led to the updated version of John Browning's classic 1911 handgun line by Sig Sauer. Some of the features on the Ultra two-tone Include an ehanced beavertail grip safety, extended thumb safety, and a skeletonized hammer and trigger. The overall length of the Ultra Two-Tone is 6.8-inches, with a height of 4.8-inches, and a barrel length of 3.3-inches. The slide material is made from stainless steel, and features a natural stainless finish. The frame material is made from stainless steel, with a black hard anodized finish. 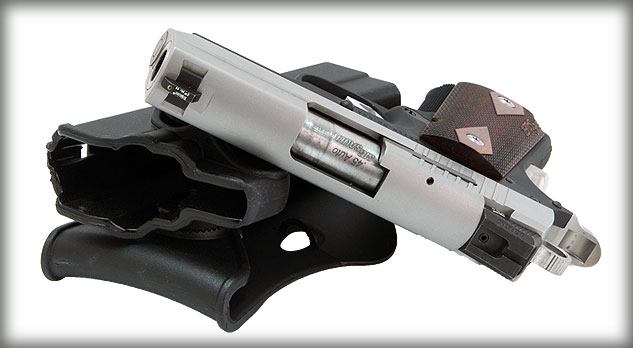 The magazine holds 8-rounds of .45 ACP ammuntion. The trigger is single action only, and has a pull of approximately 5-pounds. 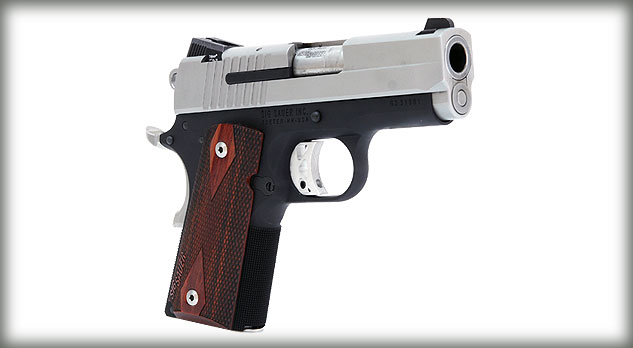 The grips are custom rosewood, with 25-line per inch checkering on the straps. The sights are low profile 3 dot night sights.